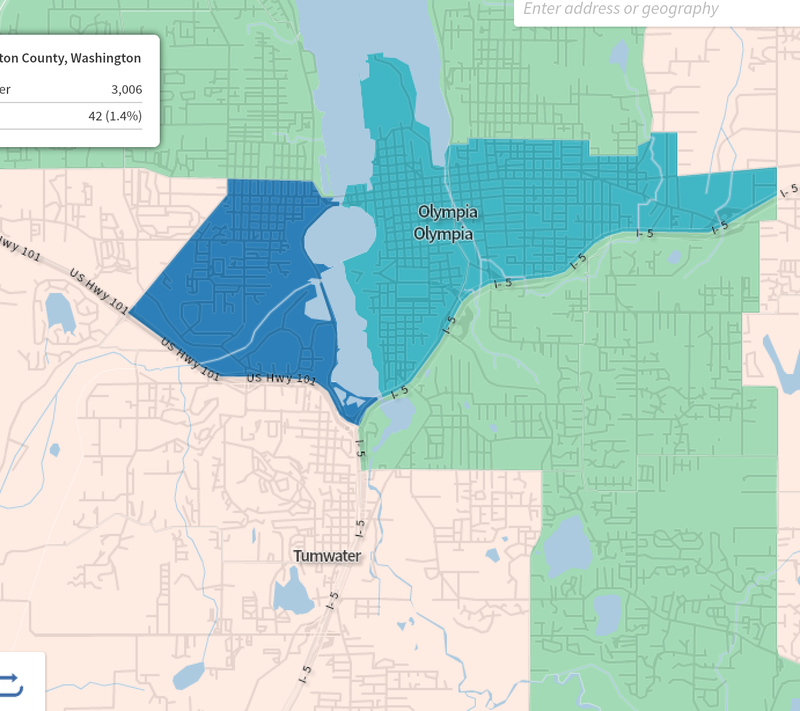 I love the different ways you can poke around census data anymore. 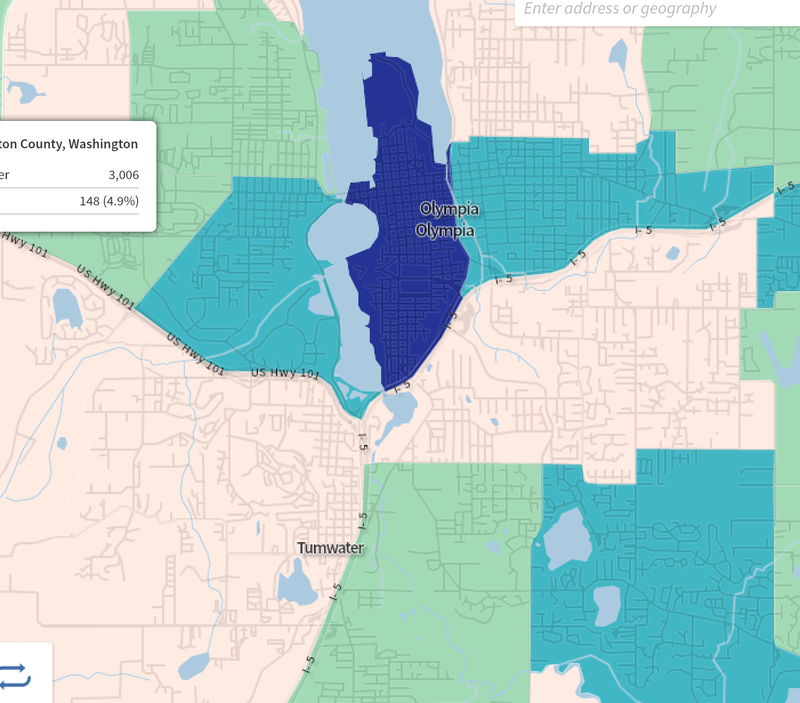 One of the coolest of these little tools is the commuter edition of the Census Explorer. Take a few screen shots from the tool, and you get a clear look at how our ways of getting to work and around town has changed since 1990. The darker the color, the more people who walk, the highest concentration being in the central part of town, where over the decades about a quarter of people walk to work. 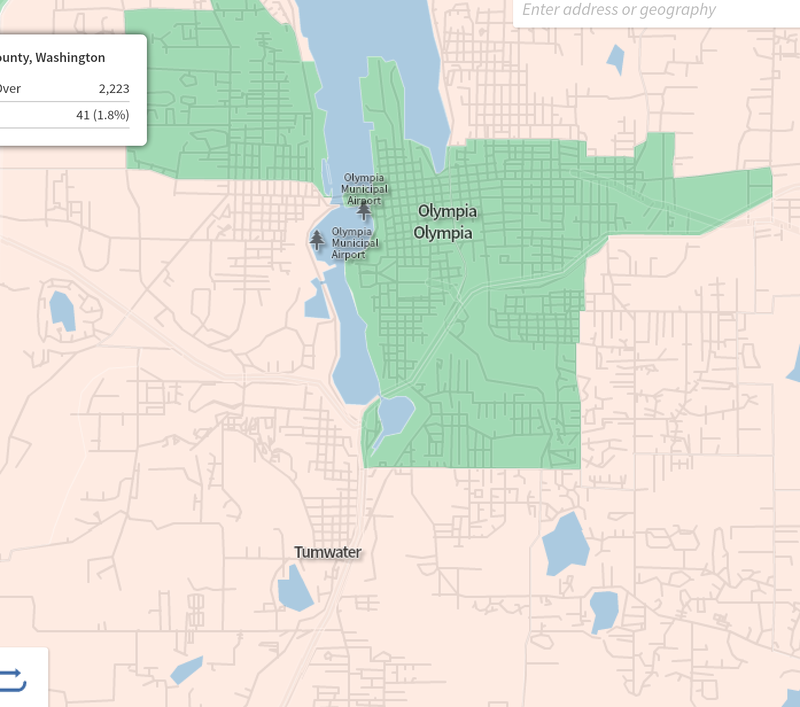 But, over time in the outlying areas, fewer people walk. This is except for a couple of neighborhoods (far Southwest and nearby Westside) where a few more are walking. For me, walking to commute means that over time we're building walkable neighborhoods, places where people can find what they need on foot. While downtown and South Capitol seem to be a stronghold like this, the rest of town seems to be getting worse. Now, for bikes, the story is different. 2012 shows a real marked increase. 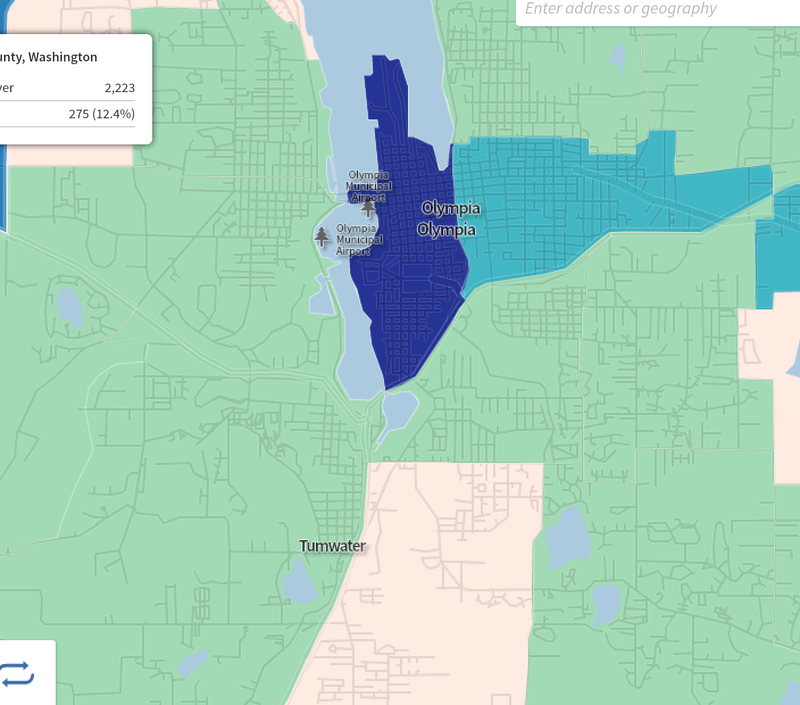 A full 10 percent of Westsiders bike commute, while 5 percent of downtown and 7 percent in the near Eastside bike. So, while we seem to be going backwards in terms of promoting walking, biking seems to be getting a boost from public policies around bicycles. 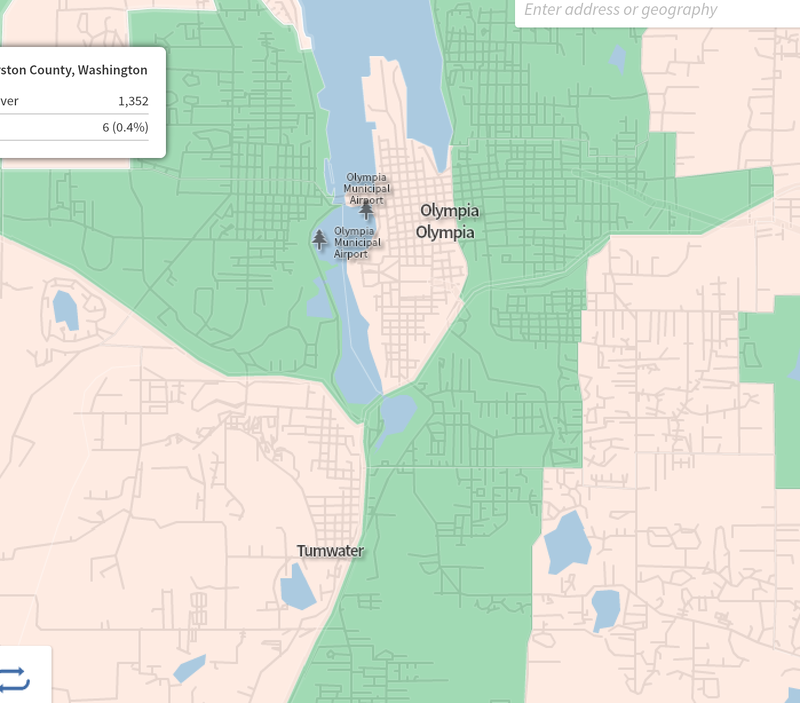 I didn't realize this, but Olympia has a fairly short history in carving out space for bikes, the first bike lane was up East Bay Drive in 1984. Today, there are more than 30 miles of bike lanes. And, almost every single major plan developed by the city in terms of city growth and capital spending has included a bike component. Bikes at least on the surface, seem to be a replacement for cars. At least for people who would be driving themselves. Biking can be encouraged through infrastructure changes it seems. But, walking is a different beast. You have to have someplace to walk (in addition to a nice sidewalk) somewhere near you. So, we need to encourage bigger things, like putting businesses near homes, services near where the people are. Which seems different than adding bikes lanes. The first bike lane, along East Bay Drive, was a result of great community effort by a neighborhood association. The City received a grant to widen the street to four lanes. After construction was underway, the East Bay Drive Neighborhood Association, led by Chris Haynes (then working at Ecology) organized to keep it from becoming a highway. Eventually the City agreed to stripe it was two lanes, plus a center turn lane, plus bike lanes. It's worked out just fine. You want to be careful about comparing Census data to American Community Survey data. Also, the margins of error for bike commuters in the ACS makes it statistical noise. 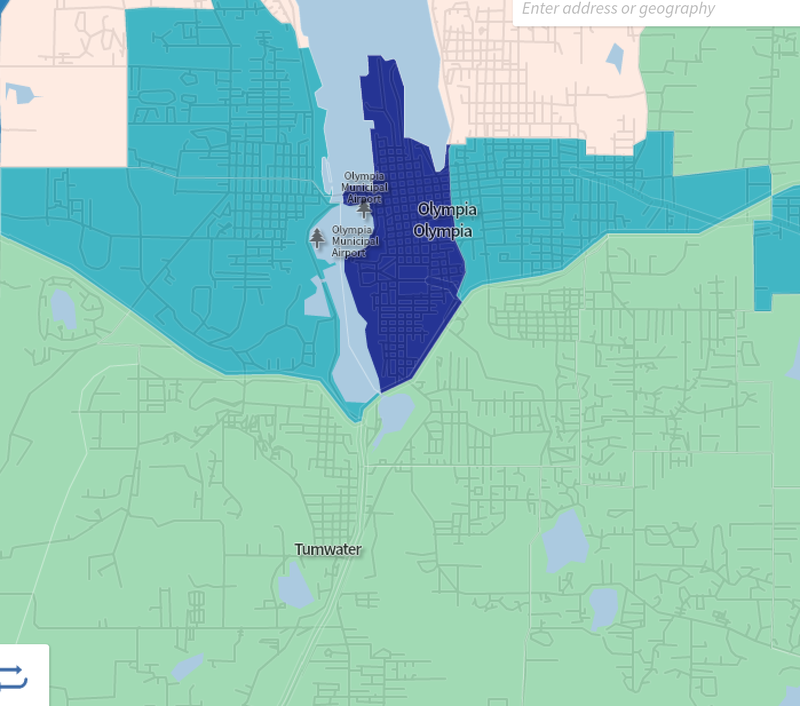 The best data product for mode split in Thurston County is TRPC's travel survey.